I think Spring may finally have arrived, despite having plans for the last two weekends we have still found the time to get out in the garden and clear the mass of overgrown weeds and move our bikes back into the shed after our week away in February, these jobs though have created A LOT of mud!! Luckily for me I was offered the use of the BISSELL Vac & Steam All-in-one cleaner for a week to test it out on our hard floors. This cleaner was so easy to set up. It comes with two Microban mop pads that need to be fitted to the base, the base then clicks onto the main cleaner body. The water reservoir is filled to the marked point and you are all set. There are no hoses or connectors needed. 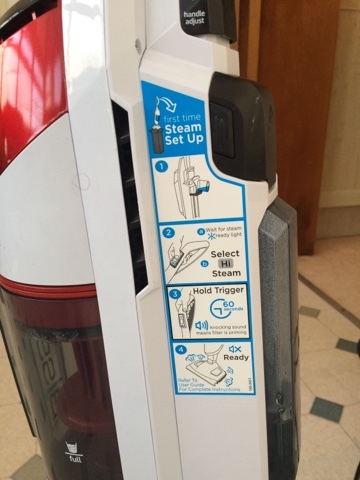 There is a handy guide on the side of the cleaner that helps you complete the initial set up and first steam and the operating buttons are on the handle - vacuum, low steam and high steam. One of the brilliant features of this cleaner is that it's dual action. It will vacuum up debris and steam at the same time. Dry Tank Technology means that any vacuumed dirt stays dry in the collecting tank allowing easy removal. The Vac & Steam can be used on most hard floor types. 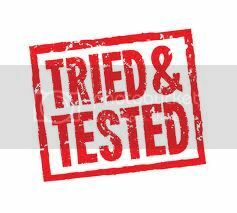 I tested it in my bathroom, kitchen and conservatory with a range of debris to see how it would perform. BATHROOM - Our bathroom floor was already pretty clean (obviously!) although Sion had recently shaved his head and despite cleaning up hair inevitably gets missed. 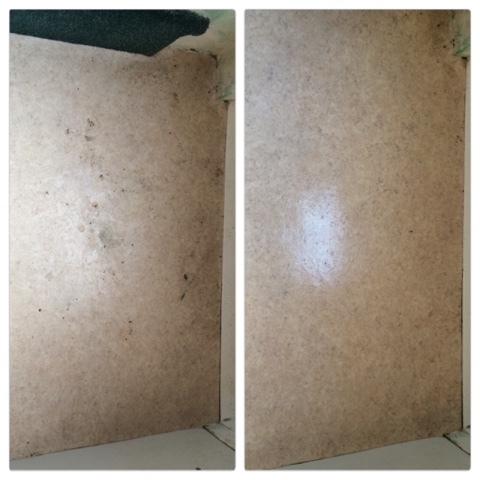 The Vac & Steam easily collected fine hair shavings and removed marked areas on the lino. 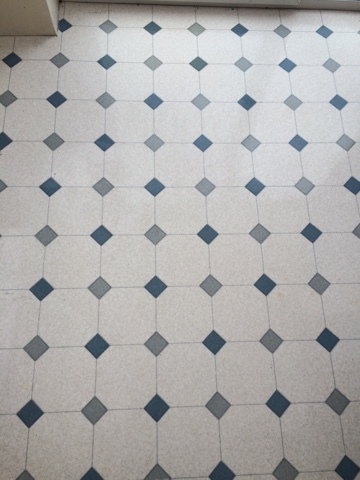 Because I only used the light steam the floor dried very quickly as I was cleaning. KITCHEN - I purposely dropped some food crumbs and sauce onto the kitchen floor before cleaning and they were all removed without any problem. By our back door we store our bin and there was a (frankly disgusting) patch of marked and dirty lino that wasn't removed by lightly wiping with a cloth. 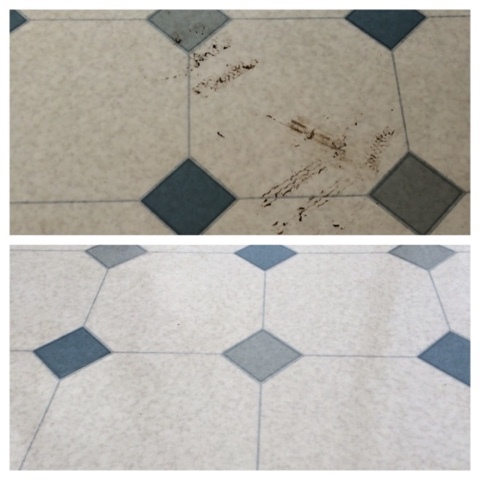 I used the HI steam function on this area and after 30 seconds the floor was much cleaner. It's worth noting that steam cleaning kills 99.9% of germs and bacteria, so I knew this area was properly dealt with. CONSERVATORY - Our conservatory is more like a glorified boot room. We stored our muddy bikes in there, our wellingtons and garden equipment so you can imagine the state of it after a day's digging. The Vac & Steam whipped through it! The only marks it couldn't lift were small circles of staining from the legs of our dining table, although in the past we have only been able to remove these using bleach. 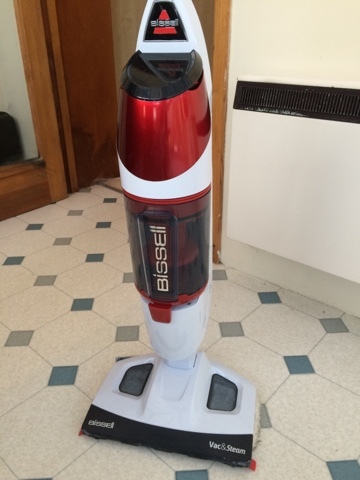 So would I recommend the BISSELL Vac & Steam? Yes I would. If the majority of your floors are hard it is a brilliant peice of equipment, the power of a cyclone vacuum cleaner and a powerful steamer combined into one has to make sense. You lose nothing by combining the two functions and it is light and easy to use. I personally have more carpets than hard floors so for me the Lift-Off Floors & More cleaner would be more suited. 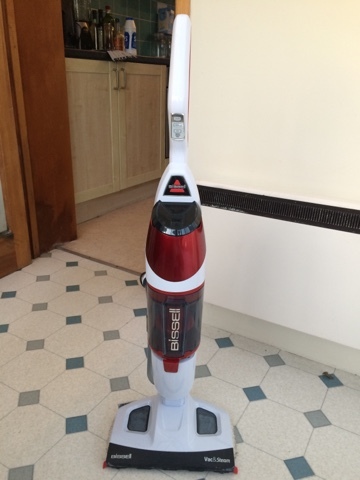 The BISSELL Vac & Steam 1132E is available direct from the BISSELL website for £149.99 with free delivery. Yes it was really good - maybe I'll get to keep one next time! I love the look of the results you got here. Looks like a good recommendation. Hi Fiona it would be perfect for all your stone & wood floors in the cottages. We have this and it is a godsend to have around with pets on the hard floors. Hi Jaime I really was impressed with it, it was a shame I haven't got more hard floors!! 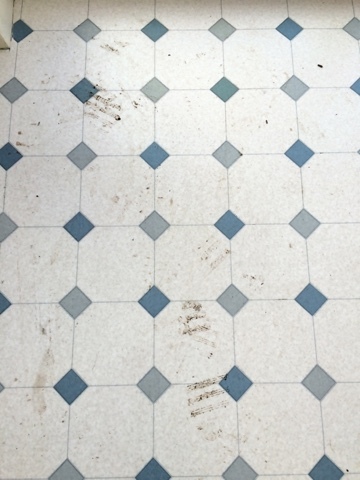 The whole of our downstairs is hard floored and with three kids and a dog making as much mess as they can my floors are always filthy! Wow Colette it sounds like you need something like this!! 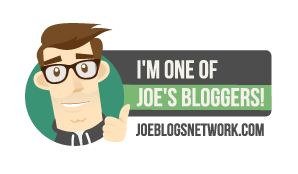 Thanks for sharing this greate article.I have 3 cats and 2 dogs. My floor gets dirty quick. This Vacuum Cleaner really cleans my floor and so easy to plug in and use. Wow, just wow. So worth it. the time it takes to fill a bucket and wring a dirty mop, yuck! Why do that?? This is an amazing invention.